“My initial reaction of them wanting to talk to me was just ‘oh no, they probably want to sue me,’” said Mike after the company he parodied slid into his DMs. A guy who unintentionally made a credit-building app company go viral — and then drove significant traffic and user downloads for the app — after tweeting a photoshopped ad as a joke has now been hired by the company to do more marketing for it. 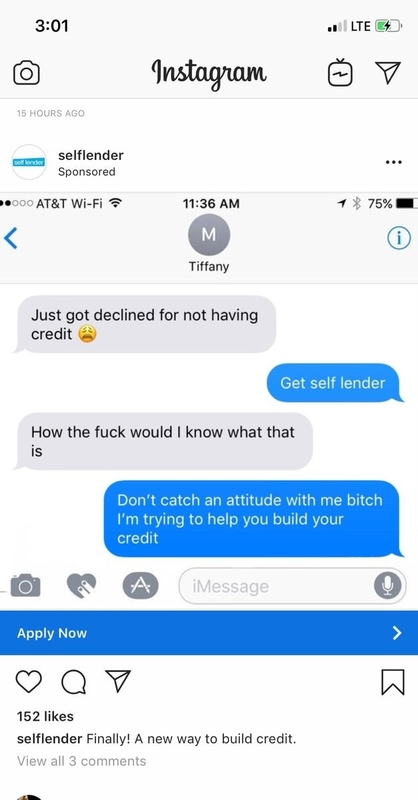 If you recall, back in late October, the Twitter user who only wanted to be identified as “Pitbull Updates” admitted to BuzzFeed News he faked a hilariously crass ad for the company Self Lender as a total joke. People lauded Self Lender as a company that was investing in “a PR team of actual youth” to reach actual youths. 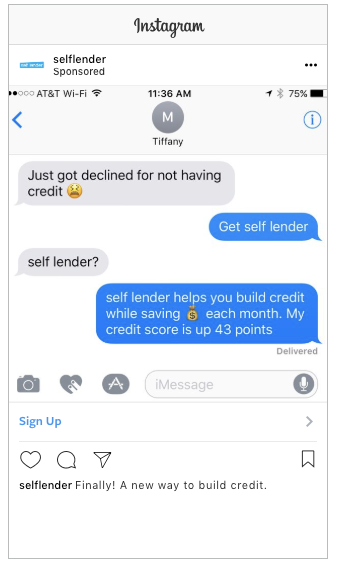 Unfortunately, Self Lender admitted it had nothing to do with the successful viral ad, and did not have any ties to the guy who’d accidentally given it incredibly good PR. “Our mission is to help people build credit, but naturally as a [financial technology] company we typically would need to be a bit more conservative in the language we use,” Brett Billick, the chief marketing officer for Self Lender, told BuzzFeed News at the time. He said traffic to Self Lender’s website and app spiked entirely from people wondering “who the bleep is Self Lender?” and then inquiring about their actual services. The accidentally successful marketing stunt has caused the company to seriously consider hiring the guy behind it all. Earlier this month, it decided to slide into his DMs. Pitbull Updates — a college student whose first name is Mike but who prefers to still remain fairly anonymous — told BuzzFeed News the company reached out to him to “talk more about the fake ad” and to jump on a business call. The company then offered him a contracted position on its marketing team to produce at least five more text-based ads, but “without the language from the first [ad],” Mike said, laughing. Mike said he had never considered pursuing advertising before, but then he thought, why the hell not? He accepted the offer. “I never saw myself going into advertising, let alone going into it because of a joke I made. If it turns out I’m good at it then why not? It’ll be a funny backstory when people ask why I went into it,” he added, laughing. Billick told BuzzFeed News the company was “so inspired” by the impact Mike made, intentionally or not, that they had to reach out to learn more about him. He also confirmed Mike had indeed been worried he was being sued in the initial call. “We talked to Mike and really thought he was creative, so thought, what better way than to hire the source to help us?” Billick said.